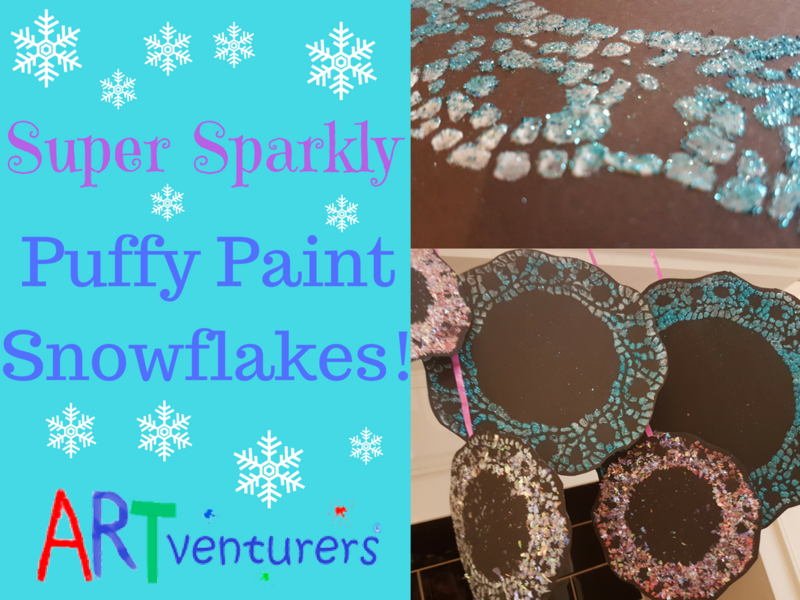 Super Sparkly Puffy Paint Snowflakes! 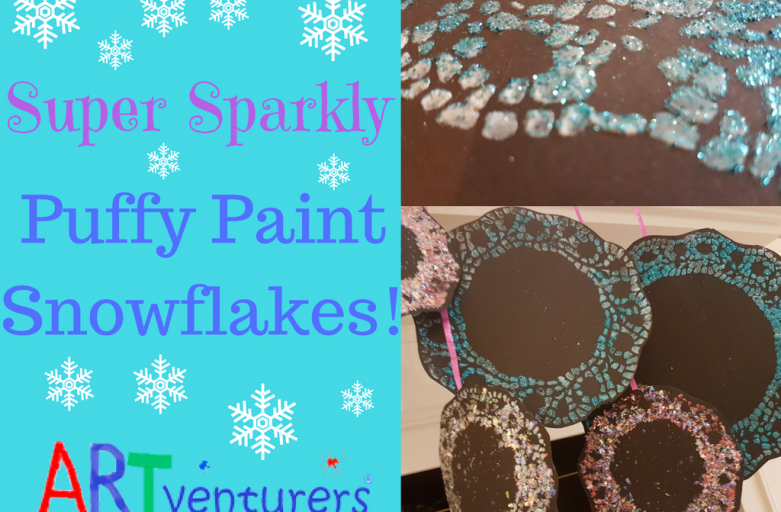 These puffy paint snowflakes are super sparkly and a lovely art activity to try at home with little ones over the festive period. Hung up in groups they make gorgeous decorations too! 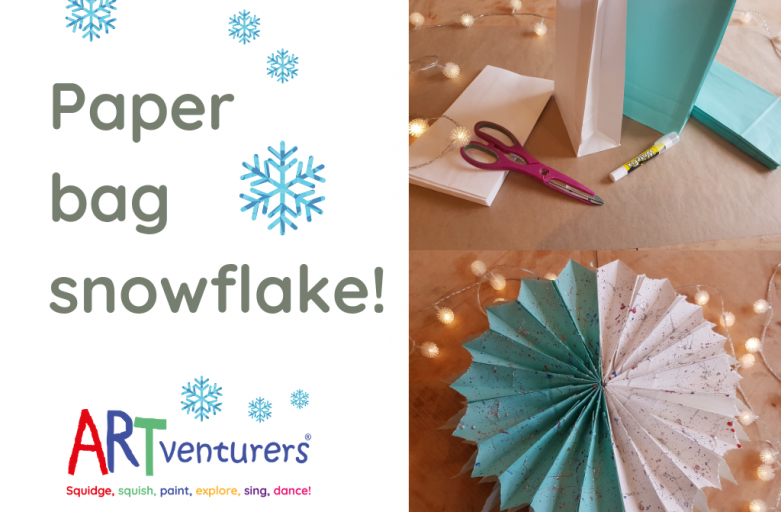 PLUS you can use the puffy paint to create other wintery masterpieces too! Some ribbon and tape if you’re going to hang them up at home! 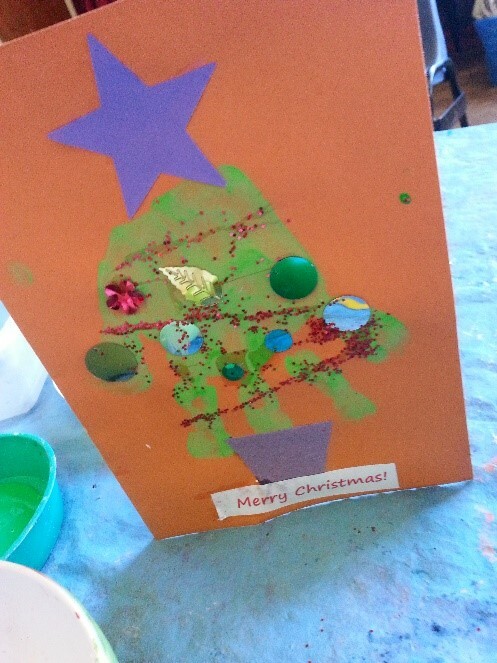 Next, lay a paper doillie flat on the card – you’re going to be using the doillie as a stencil. 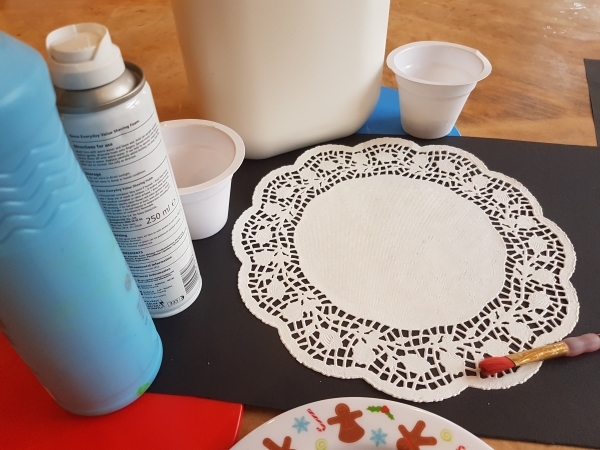 Use the brush to paint the puffy paint over the pattern gaps in the doillie. Make sure you cover them all with the paint! 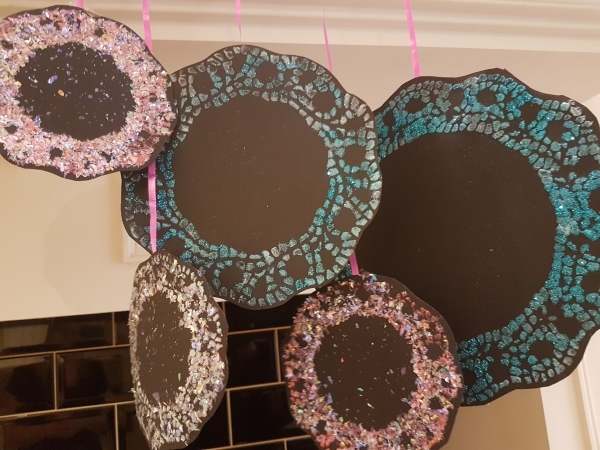 Then you can cut out your snowflakes when dry and hang to display them – they look lovely and really effective in little groups! 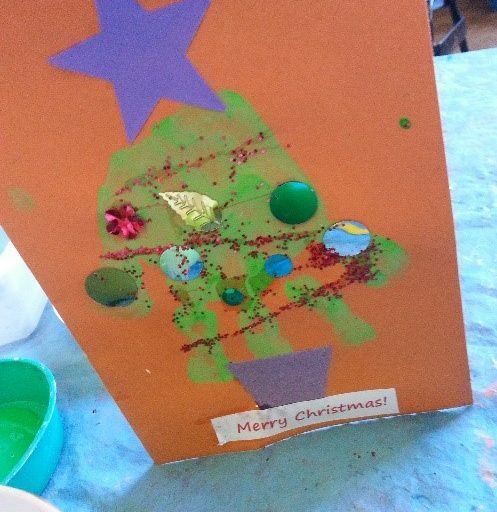 There is nothing lovelier than a home-made Christmas card…and even cuter if it’s got a little person’s hand or footprint on it! 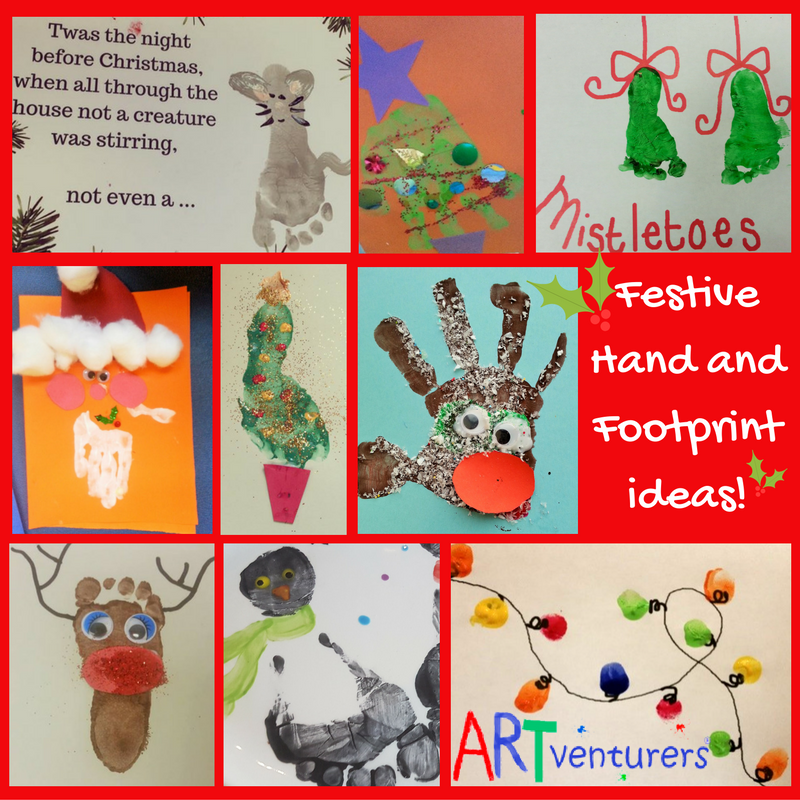 Here’s a little round up of our favourite festive hand and footprints……there’s a fingerprint one thrown in for good measure too! 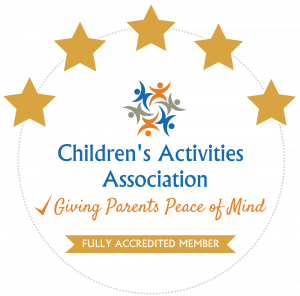 If you’re struggling to get a good clear print (and we know it can be tricky!) 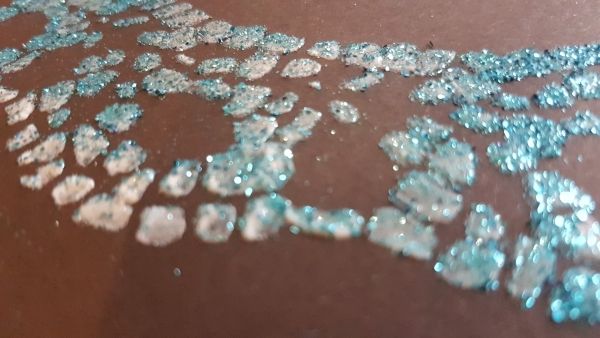 check out our blog post all about how to get a lovely clear print! 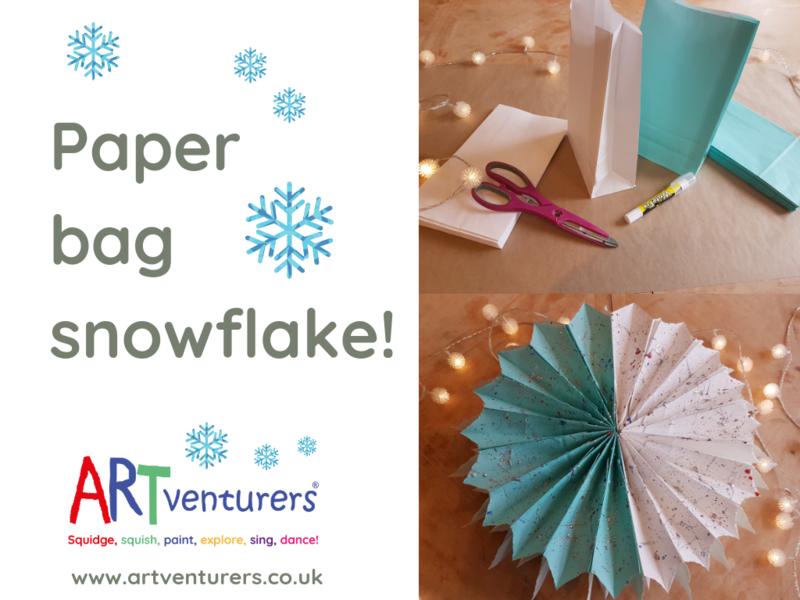 And of course if you fancy joining in the arty fun at our classes in the New Year…..pop over to our Find a Class page to find out all about joining in the ARTventurers fun!